For almost 150 years, United Methodist Women members have been in mission to women, children, and youth down the street and around the world. 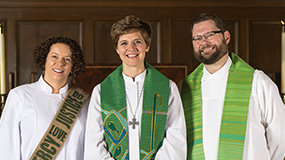 The organized unit of United Methodist Women shall be a community of women whose Purpose is to know God, to experience freedom as whole persons through Jesus Christ, to develop a creative, supportive fellowship, and to expand concepts of mission through participation in the global ministries of the church. Membership is open to any woman who indicates her desire to belong and to commit herself to the Purpose. Members gather from time to time in a unit meeting. Much of the creative, supportive fellowship of United Methodist Women happens in monthly circle (subgroup) meetings. Click here for further information about each of the circles. 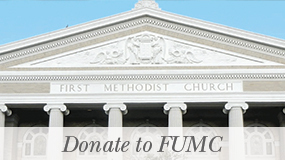 United Methodist Women support mission through regular, voluntary giving. Until we have the capability to receive contributions online, please mail your mission gifts to Laura Fairman, unit treasurer (4900 Julian Alps, Austin, TX 78738). If you’d like to learn more about the work of UMW, about becoming a part of this fellowship yourself, or about starting a new circle or new ministry, please contact Sandy Wilder, UMW president, at swilder@texas.net.